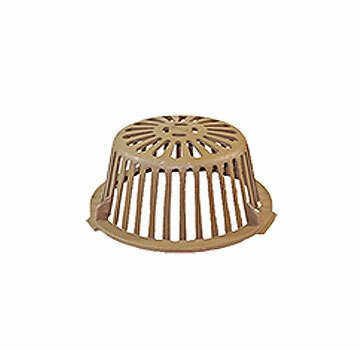 PRODUCT: SMITH REPLACEMENT ALUMINUM DRAIN DOME 11-3/4 OD x 5-1/4 HIGH. FITS ALL SMITH 1010 SERIES DRAINS. PRICE/EACH. APPLICATIONS: FITS ALL SMITH 1010 SERIES DRAINS. 5/16 inch ID 316 Stainless Steel Flat Washer (fits 3/8 bolts), SAE Type, 11/32 ID, 11/16 OD, 0.0625 Thick. Price/Each. 5/16-18 x 1 inch Hex Washer Head (HWH) Bolt, Marine Grade 316 Stainless Steel, 1/2 inch Head Head, ASME B1.1 UNC Right Hand Threaded, Meets ASME B18.2.1. Price/Each.